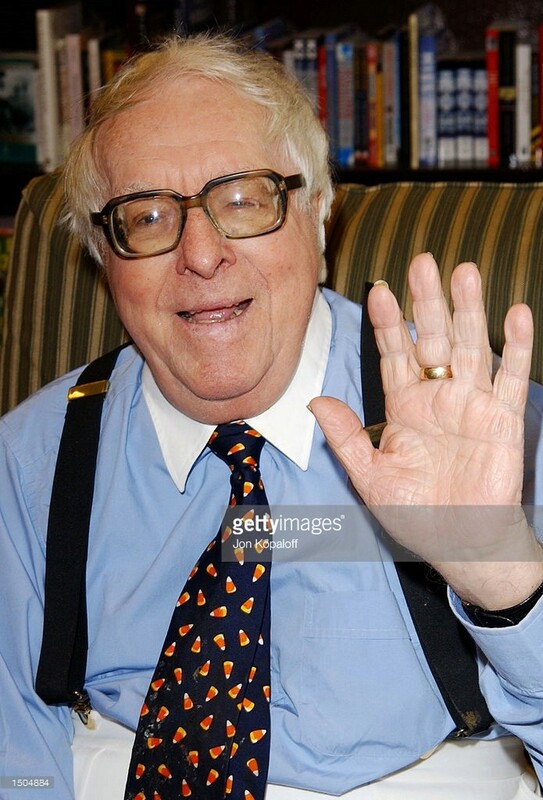 I was watching a video lecture given by the author Ray Bradbury (Fehrenheit 451, The Martian Chronicles, ...) and he made a gesture with his left hand and I immediately recognized something interesting. I believe that this is a Suwon Crease variant. Sorry, not even close to a Suwon crease; what we see is simply a 'bridge' between the heart- and head line; the chart below describes that this variant can basically be recognized to represent a 'normal' variant ('Normal 3'). 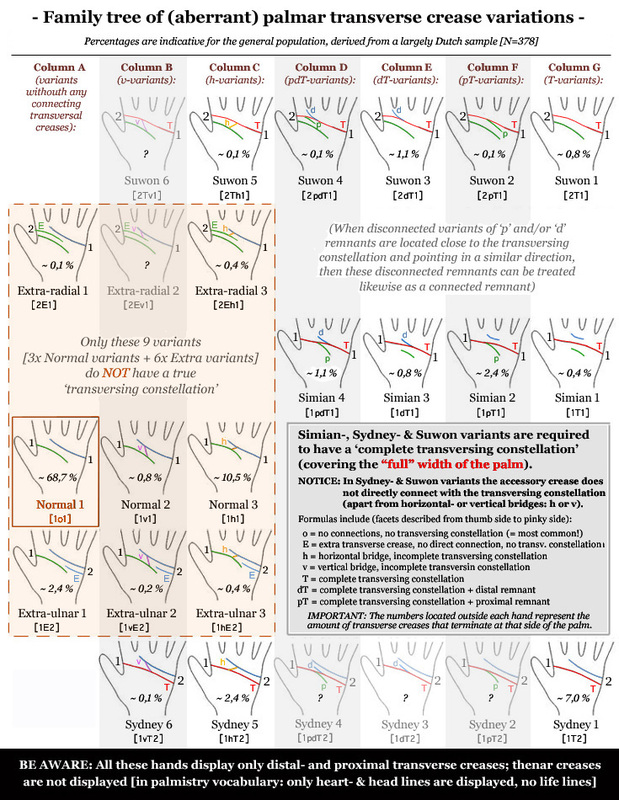 Family tree of (aberrant) palmar transverse crease variations! Of course, of course. My mistake. Thank you Martijn.